Year three on the circuit and Cole Anthony knew all eyes were on him from a hype perspective, and from a need perspective. This version of the PSA Cardinals lacks desirable firepower, and Anthony didn’t disappoint in picking up the slack. The 6-foot-3 floor general led the circuit in scoring at 26.9 points per game, including 13 20-point games. On top of his scoring output, Anthony averaged over seven rebounds a game. 3+ rebounds a game. No player more integral to his team’s success, and he’s every bit deserving of his new No. 2 ranking in America by 247 Sports. Tyrese Maxey is a long rangy combo guard who is one of the better scorers and facilitators on the circuit. The 6-foot-3 guard is a certified bucket-getter, and has truly excelled after switching from Drive Nation to Houston Hoops after the first session. He’s also a defensive-menace who gets his team into transition and truly enjoys getting his teammates buckets. 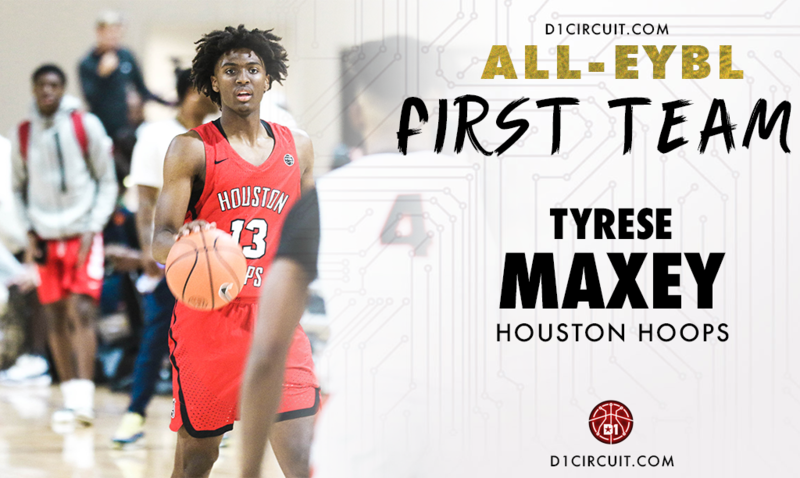 There aren’t many two-way players like Maxey on the circuit, and he’ll have Houston Hoops firing on all cylinders in mid-July. Maxey's 15-game regular season earned him Defensive Player of the Year honors. 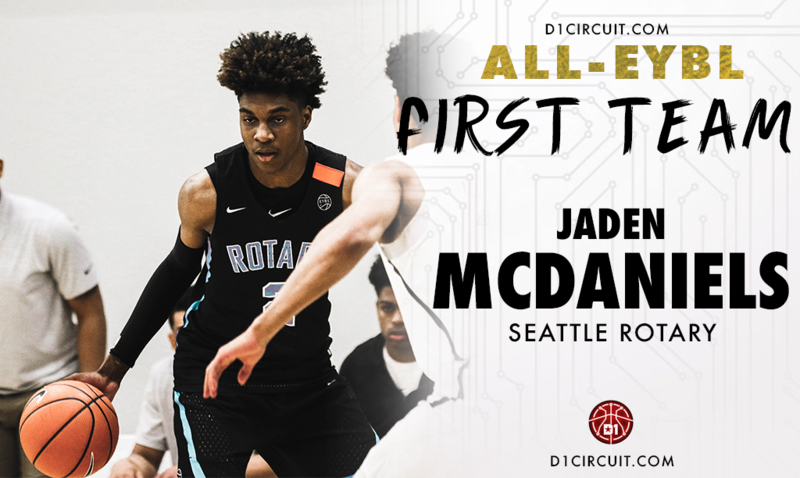 Seattle Rotary Style is in the Peach Jam for the first time since 2012, and they got there largely behind the play of McDaniels. McDaniels has a slim build at 6-foot-10, but he’s tough as nails, and he showed a three-level game that gave opponents buckets at a very efficient clip. He rebounds, blocks shots, and still finds time time to pump in 19 points per game on 50% shooting. Rotary is a threat in July for the first time in a while, but McDaniels isn’t just happy he be there; he wants to dominate. McDaniels was also named 2018 Breakout Player of the Year. 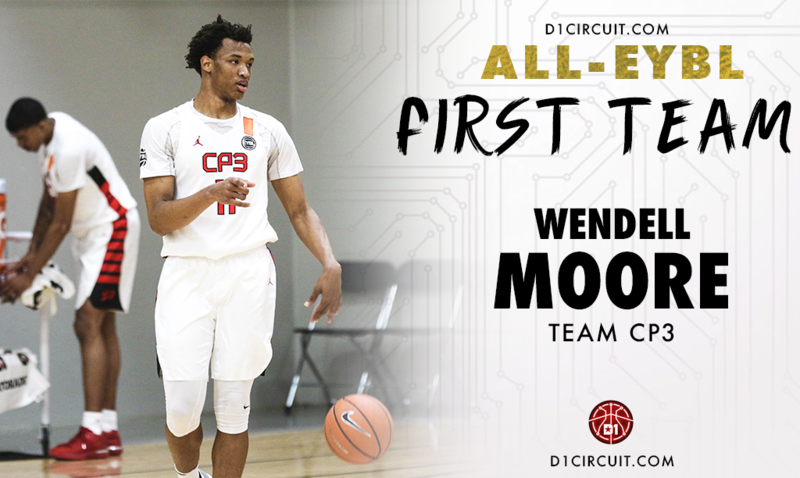 All Wendell Moore does is win, and does a lot of it. Moore helped CP3 to an E16 Peach Jam title and followed it up with state title for Cox Mill (NC) high school. Moore constantly stuffs the state sheet. He gets to the line, hits his free throws and rebounds about as well as any 6-foot-5 player in the country. Moore does a terrific job of making plays for others, but is an elite scorer when needed.. He’s a leader with his production, and his teammates plat extremely hard behind him. He always shows up, and that makes CP3 a scary proposition in July. 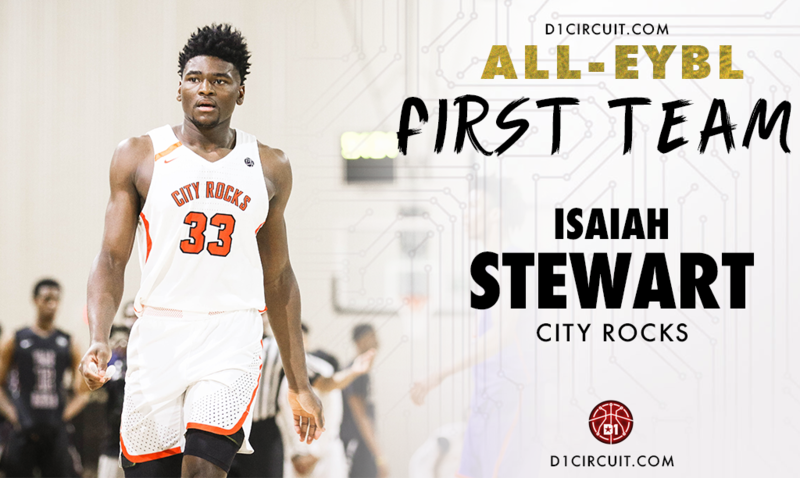 Isaiah Stewart was dominant this spring, turning in several beastly performances while leading the City Rocks to a solid 10-6 regular season. Stewart deploys a non-stop motor behind one of the strongest bodies in the country. Stewart looks every bit the part, and if you can find a 17-year old that is more physically-imposing to the eye, we’d like to see him. He uses his muscle well, grabbing every board in his area en route to leading the EYBL in rebounding at 10.6 per game. On the block, if he can get position, he can score on anyone. He’s been remarkably consistent through two EYBL seasons, improving with each stop while wearing down opponents on each end of the floor.